(Co. Wicklow, IRELAND) – After a successful launch at the 2016 PGA Show, P2 Putter Grips is returning to the PGA Show in 2017 and will be introducing their new Tour range of grips in Booth #1219. 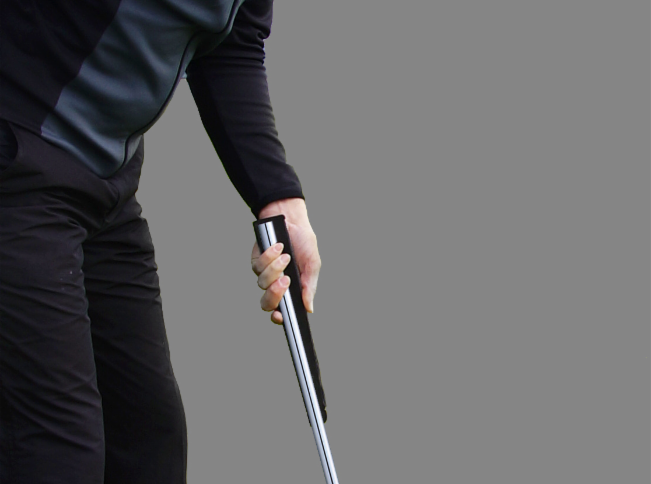 The unique patented design of the P2 Putter Grip allows the shaft to be positioned along the underside of the grip encouraging the golfer to position their hands and wrists higher at address. This off-center shaft design is proven through independent biomechanical testing to improve putting performance. Hand and wrist movement is restricted, producing better control of the putter face, with more putts being struck from the sweetspot. Putts were struck closer to sweetspot. Putter face was prevented from twisting open or closed at impact. Putts started closer to the intended starting line. The new Tour range for 2017 features the same design, but weighs in at 50% lighter. The P2 grip through its shape and soft tacky texture promotes even grip pressure, while eliminating tension in the wrist and forearms. This helps the arms to swing freely, further enhancing a more stable, consistent and reliable pendulum putting stroke. The P2 grips are available in 4 different oversize shapes, with 2 flat sided and 2 round sided models to choose from. The new Tour Aware (55g), Tour Classic (65g), Tour React (80g) and Tour Reflex (95g) will be available in two new colours options and are set to excite in 2017. P2 Putter Grips Ltd based in Co. Wicklow Ireland approaches the golf equipment market with a clear vision to bring smiles to the faces of golfers across the world. It manufactures and distributes the P2 Putter Grip worldwide.